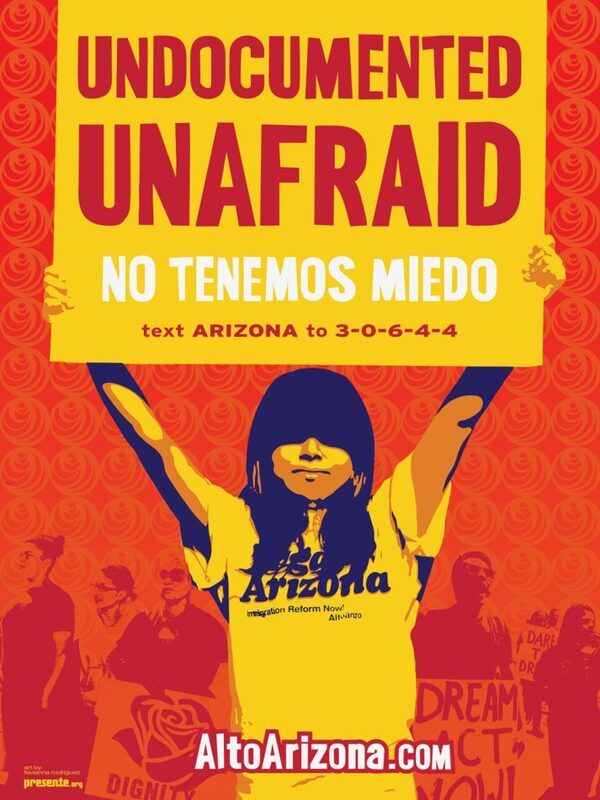 The work of Favianna Rodriguez embodies an art and cultural practice that gives voices to disenfranchised people all over the world, transforming it into a tool for agitation, inspiration, and action. 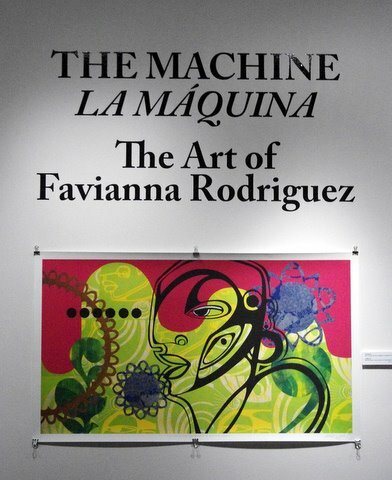 The exhibition, THE MACHINE – LA MAQUINA featured some of Favianna’s newest works. 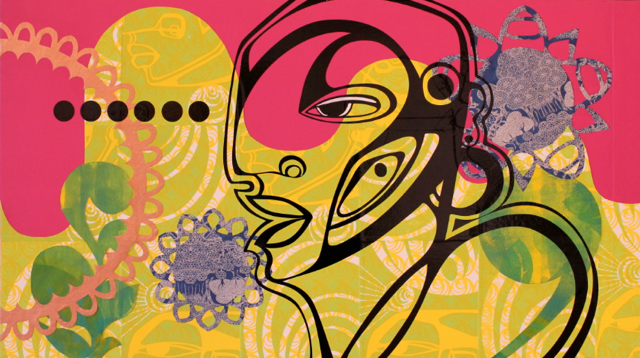 Using a hybrid technique of traditional and digital, hand-made and mass produced — Favianna’s composites reflect literal and imaginative migration, global community, and interdependence. 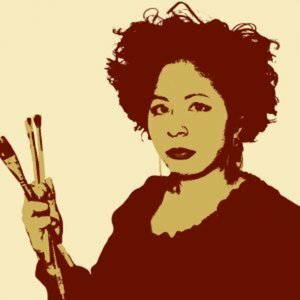 Whether her subjects are immigrant youth in the USA, land workers fighting for their survival, or her own abstract self portraits, Rodriguez brings new audiences into the art world by refocusing the cultural lens. 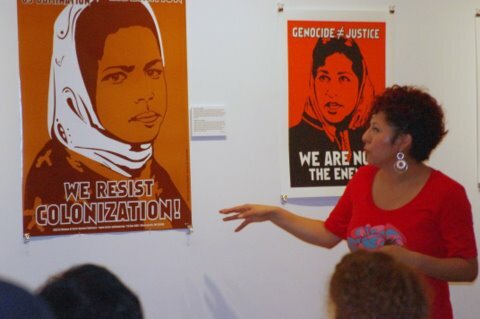 Favianna creates lasting popular symbols that interposes private and public space, while the art viewer becomes the participant carrying art beyond the borders of the museum. 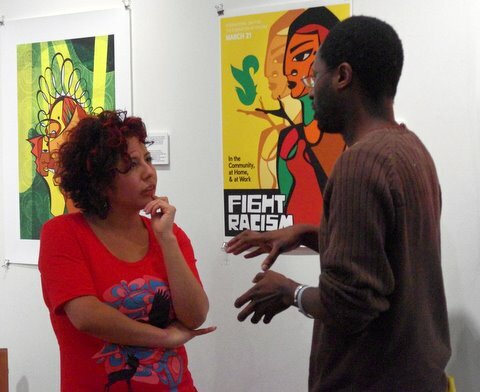 Favianna Rodriguez is a celebrated printmaker and digital artist based in Oakland, California. 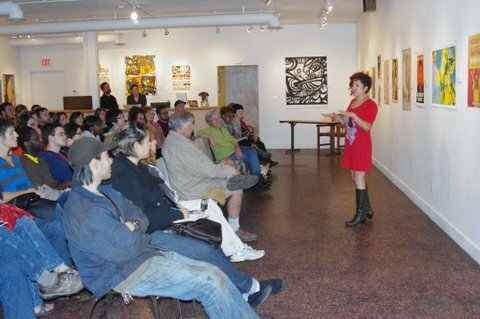 View a short video about Favianna and her work. Dik Cool, Laurie Gillmore Selleck, Mary Slechta and The Spanish Action League – La Liga.